Three events, one week, one venue; this is what Africa Travel Week comprises of. A nexus for travel professionals across South Africa, the continent and the globe, and this year’s events exceeded all expectations. Organised by Thebe Reed Exhibitions and Reed Travel Exhibitions in the week of 4-8 April 2016, three highly sought after industry shows; ILTM Africa, WTM® Africa and ibtm africa provided a comprehensive and diverse platform for leading businesses in the inbound and outbound travel sectors to do business, all under one roof at the Cape Town International Convention Center (CTICC). 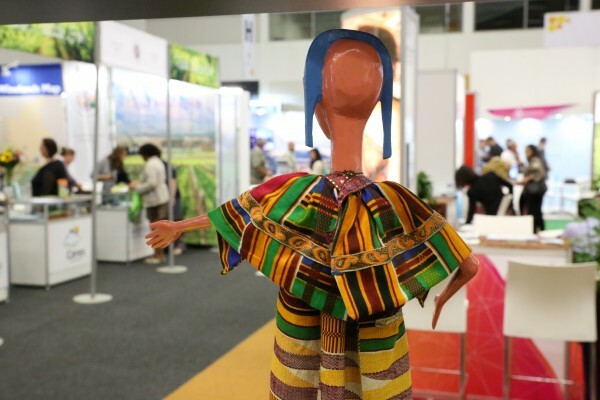 ILTM Africa, the specialist invitation-only table top event, was the first experience of Africa Travel Week which opened on Monday 4 April in the Host City of Cape Town. Welcoming African suppliers of luxury travel experiences, products and services and international buyers from 28 countries over 3 days, ILTM Africa held 4263 quality face-to-face meetings, which is a 7% increase on the previous year. This fourth annual ILTM Africa event was hailed as “excellent value for business” by all stakeholders attending the three day niche event. ibtm africa, was praised by visitors as an “excellent event for business development, and knowledge enhancement” in the region with global relevance. Held on the last day of Africa Travel Week, ibtm Africa evolved from a table top event in previous years to a high quality content driven education programme. This change occurred due to a gap in market education. The conference brought together key meeting planners from some of the leading corporates in South Africa and suppliers from the meetings industry. Throughout the last day, the conference gave visitors insights into technology, future trends, procurement and consolidation, the benefits of foreign exchange and the convergence of the travel and meetings industry. The third annual World Travel Market® Africa concluded on Friday, 8 April 2016, delivering another impressive show which successfully contributed to the economic impact on the continent’s tourism sector. With more than 600 exhibitors participating in more than 7500 prescheduled appointments before the show began, as well as an increase of over 20% on 2015 visitors and an increase on overall travel professionals at the event, WTM® Africa certainly meant business this year, with remarkable results recorded. 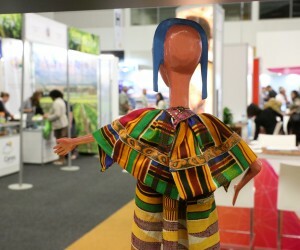 These results have reaffirmed WTM Africa, as the African continent’s leading travel trade event. Visitors and exhibitors who participated in the 3 day event have praised this third edition as an overwhelming success, providing them with excellent opportunities to enhance the development of travel and tourism into and out of Africa, and to contribute to business development in the region with the advantage of a local presence combined with a global appeal. The WTM® Africa halls at the CTICC were abuzz for all three days with participants taking opportunities to engage in valuable business conversations, meet new contacts, exchange ideas and share best practices. “Thanks so much for WTM Africa 2016 - it provided a wealth of information across so many platforms-I’m grateful to have been able to have been part of it all” said travel professional and first time attendee of Africa Travel Week, Allison Foat. WTM® Africa 2017 will be taking place from 19-21 April at the CTICC. Save the date and avoid disappointment by booking your space today.